If you’re a sufferer of chronic headaches or migraines, you don’t need convincing that they’re one of the most painful, debilitating conditions you could possibly suffer. Millions upon millions of dollars a year are spent on trying to find relief from this crippling illness. But what causes migraines? Basically it’s a decrease in oxygen to the brain. If the brain receives less oxygen per milliliter of blood, it will simply increase the amount of blood flow to increase the overall amount of oxygen received. In order to increase the amount of blood flow it must dilate the blood vessels that supply blood to the brain. When these vessels dilate, it stretches pain fibres that wrap around the outside of these vessels. When these pain fibres are stretched they are activated and start sending pain signals into the brain, resulting in your perception of pain. Headaches and migraines may also be caused by inflammation and tension of the joints, muscles and blood vessels at the base of the neck, which then transfers pain up into the skull. So what can our practitioners do to help? By removing the tension, the inflammation around the joints, muscles and blood vessels is decreased and the pain fibres begin to be deactivated. There are other factors that contribute to headaches, but Chiropractors everyday experiences show that neck problems are a huge contributor. 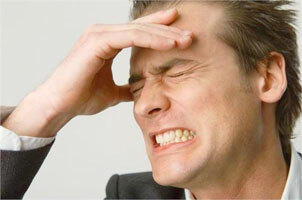 Do you suffer from headaches or migraines? The answer may be simple. Come in and see what we can do.